Refer to the Cape Nature Reserve website for more information on permits and safety regulations. Please read the pamphlet you got with your permit carefully, the hike will take you about 5 – 7 hours depending on your fitness and the speed you want to walk. 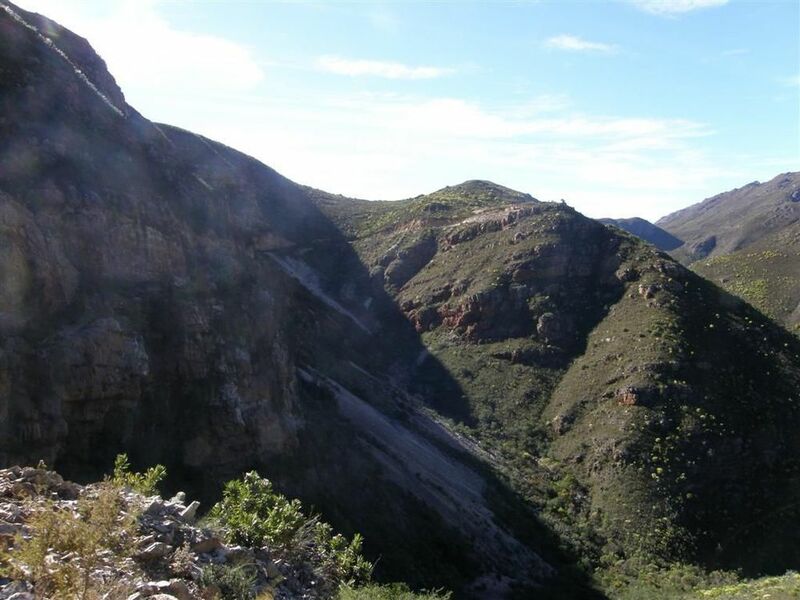 It is advisable to start before 07:00 to get the long ascent to the Viewing Point (650m altitude, Greyton is at 220m) over with when it is still cool. Please take water with you! There are some fresh water sources en route but these are not too frequent and can be dry at certain times of the year. Don't hike alone, hiking with friends is always more fun and safe. Let someone know where you are going and which trail you will be following. Only follow trails that are clearly marked. 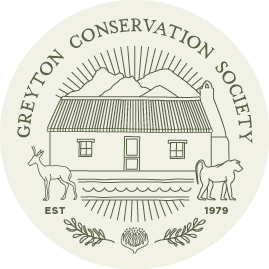 Sadly, dogs are not allowed into the Greyton Nature Reserve. For more information about why this is and to see where you can walk your dog instead, go to our page about Dog Walking. The start of the Boesmanskloof trail when hiking from Greyton can be reached by walking down Nerina Street toward the river and continuing along this sand path. It will curve toward the left past a small out-building. You will come to the river via a path that leads off to the right through a clearing in the bush. This follows an overhead pipe across the river. Cross the river here. On the other side (if you have crossed in the correct place) you will see the signs of the Nature Reserve in front of you. From here follow the clearly defined vehicle track, winding to the left and up around the mountain (this is the road that you see from Greyton village). The first major beacon you reach is Breakfast Rock. Take the opportunity to enjoy your breakfast and the view from this spot as it is the last place you can clearly see the town of Greyton. 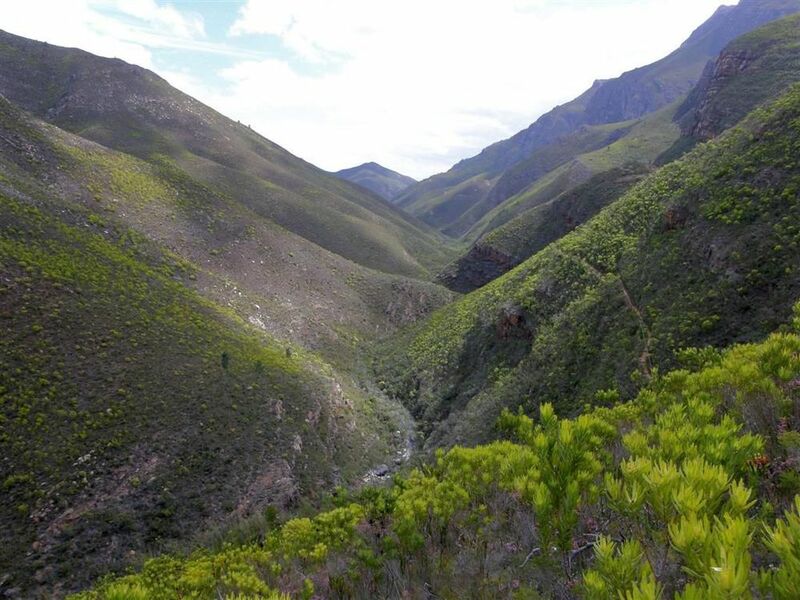 After not too long a distance you will come to the official entrance of the Cape Nature Riviersonderend Nature Reserve and Mountain Catchment Area and at this point you will be leaving the Greyton Nature Reserve. Here you descend into a valley and walk at this level for much of the way. About half way through the hike you will come to wondrous rock pools fed by waterfalls. It is highly recommended that you take dip. Approximately 13 km into the hike, the path will ascend sharply toward a rock house on the crest of the mountain. A few hundred meters before reaching this building the path forks. The right hand fork descends back into the valley whereas the left hand one takes you up to the building. DO NOT take the right hand fork. Continue with the left hand fork. This building is known as "Die Galg" or "Eagle's Nest" and can be booked as accommodation. However, if you are not staying the night it is advisable that you arrange to be collected from Die Galg because McGregor is still some 23km away. The Eagle's nest sleeps between 10 and 12 people and sports facilities such as a braai area and a pool - perfect for ending a long day of hiking. If you did end up taking the fork leading to the right shortly before heading up to the Eagle's Nest then you can be collected at the Onverwacht Cottages. 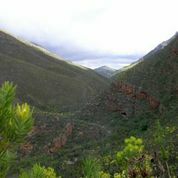 This adds approximately 2km to the hiking trail and while it does take you into a spectacular river valley, it finishes with an almost vertical 800m climb to the cottages which are situation on the crest of the ridge. If you have the strength and enough drinking water, it is well worth trekking the additional bit. The Onverwacht cottages are unassuming and boast spectacular views from their mountain top perch. There is also a swimming pool nearby which is lush for tired feet. Should you have further questions, contact Klaus Wehrlin, k.wehrlin@tiscali.co.za - he is also happy to arrange to meet you and guide you to the start of the hike.